We guess this is another invitation that got lost in the mail. Last Thursday HSN held a party at Aire in TriBeCa, with the swank shindig celebrating the “True Blood” collection that the home shopping network launches next month. The Wall Street Journal wrote about the event this weekend. We’ve written about this new line already. It is vampire-inspired, and includes the perfume Forsaken, nail polish, candles and reed diffusers. At the feedbag, you could not only swill free alcohol but also get a manicure and rub shoulders with models wearing vampire makeup. To top it off, The Journal ran a photo of HSN marketing honcho Bill Brand, who we thought was our buddy. By the way, Brand was asked whether HSN would be doing a “Fifty Shades of Grey” collection. Please don’t. That book is the most boring, poorly written piece of crap we’ve ever attempted to read. Racy? Really? Tying your partner up is so 1990s. HSN has juat posted a video promoting Forsaken, which parodies itself. The network is HSN, but in the video it stands for the Human Shopping Network. Well, now three “American Idol” judges have been HSN vendors. Jennifer Lopez was on the No. 2 home shopping network selling perfume. 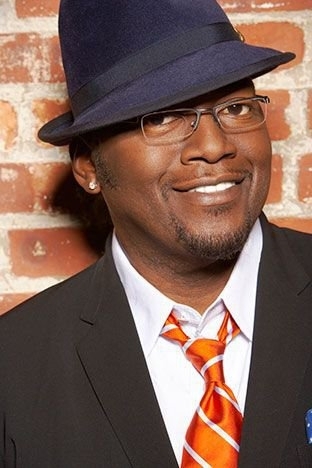 Randy Jackson was on last week selling watches. And Carey has been on several times selling jewelry and shoes, with one of her rather idiosyncratic appearances going viral. Are we nuts for buying five of Mother of Invention Mangano’s TS’s on HSN today? We bought two sets of the cute organizers, one in leopard print and one in gold-and-blue stripes, for ourselves. Then we bought three other sets for assorted gifts, birthdays and Christmas. We’ve been searching for a new makeup case for travel, one that will organize our mass (or mess) of makeup so we can actually find things, and can also be rolled open fairly flat so it can fit in a suitcase. This fit the bill. QVC’s executive vice president of customer fulfillment services, John Hunter, will retire in the spring next year, the home shopping network said Wednesday. Under Hunter’s leadership, QVC continues to win top placements in the most respected retail industry rankings for customer service. QVC recently achieved second place in ForeSee’s ranking of etailers who provide the highest customer satisfaction. In January QVC was recognized as a Top 10 retailer for customer service by the NRF for the fourth consecutive year. Hunter joined QVC in 1991 as vice president of customer service, and over the years has held roles of increasing responsibility, including senior vice president of distribution and senior vice president of customer service. In 2007, Hunter was promoted to his current position leading the customer service, distribution, business analysis, U.S. project office and quality assurance organizations. Hunter spearheaded the transformation of QVC’s distribution network to support the rapid growth of the company’s e-commerce platforms, and helped lead the charge for new technologies across television, phone, online, mobile and tablet touch points to enhance the user experience. No successor has yet been named, though QVC is currently working through a thoughtful transition plan. QVC’s parent, Liberty Interactive Corp., will be hold its annual shareholder meeting Aug. 8 at 10 a.m. Mountain Time, the company said Wednesday. It will be held at 8900 Liberty Circle, Englewood, Colo. At the meeting, Liberty Interactive may make observations regarding the company’s financial performance. The presentation will be broadcast live via the Internet. All interested persons should visit the Liberty Interactive website at http://www.libertyinteractive.com to register for the webcast. An archive of the webcast will also be available on this website for 30 days. Want to complain about QVC? Buy a share of Liberty Interactive stock, and you have your ticket into the meeting. Liberty Interactive holds interests in QVC, Provide Commerce, Backcountry.com, Celebrate Interactive, Bodybuilding.com, Evite and Expedia. First HSN had Christmas in July. Then QVC had Christmas in July. And now today, Wednesday, Jewelry Television has its Christmas in July. And what is its Best Value? Another one of its dazzling diamond rings, at $100. Great quality, we’re sure. Why not have have Halloween in April? Or New Year’s in August? Or Easter in October? We hate to be a Debby Downer, but we are getting a little tired of hearing Jewelry Television boast about being the biggest source of diamonds, we assume in home shopping. That may be true, but they are the worse diamonds ever. We have made several diamond jewelry purchases from JTV, and sent them all back. The diamonds were as dull as dish water. We’re had much better luck with the diamond jewelry we’ve purchased from QVC and HSN. We should have learned our lesson by really watching the diamonds on display on JTV. They have absolutely no brilliance, no ability to break light into a rainbow, a spectrum, of color. By the way, we’re not claiming that we buy — or can afford — perfect diamonds. But they can’t be cloudy and grayish. Buyer beware, unless you’re not fussy. We’ve cringed every time we’ve seen Lara Spencer, of “Good Morning America,” dressed up as Wonder Woman for a QVC promo on “Super Saturday Live.” How annoying. But it is for a great cause. She’s helping QVC raise money for ovarian cancer. The home shopping network is teaming up with the Ovarian Cancer Research Fund (OCRF) for “QVC Presents Super Saturday Live,” which is scheduled to air live from the Hamptons on Saturday, July 28, at 2 p.m.
During this two-hour “designer charity sale,” fashion, beauty, jewelry, accessories and home items will be available at half the manufacturer’s suggested retail price with net proceeds benefiting OCRF. Laura Geller, Peter Thomas Roth, Amrita Singh, Honora, B. Makowsky and more will be featured during the live broadcast from OCRF’s Super Saturday. Fashion designer Isaac Mizrahi is also scheduled to give viewers a sneak peek of his new Isaac Mizrahi New York line by offering a special item during the event. In addition to raising awareness through fabulous finds, “QVC Presents Super Saturday Live” will take viewers on the red carpet with exclusive interviews with celebrities attending the charitable event. QVC has turned to the social media network to launch a dedicated Pinterest campaign designed to bring even greater support to OCRF’s cause. The multimedia retailer created a Super Saturday board, which includes pins with Spencer and facts surrounding ovarian cancer. Followers are encouraged to repin with a purpose. For every repin, QVC will donate 50 cents, up to $5,000, to OCRF. As we speak, “American Idol” and “dawg” Randy Jackson is in the house at HSN, hawking his watches. Jackson appears to be enjoying himself with HSN host Colleen Lopez, and his watches are pretty good looking. We especially liked his skeleton watch, which was clear in the front and back, revealing the timepiece’s inner workings. There was also watch whose numerals looked like stylized piano keys. Jackson is a self-admitted “watchaholic,” and we love watching someone who is passionate about what they’re talking about. He told Lopez that he started collecting watches when he was 12, and that he had 500 to 600 now. Jackson just said that he was on “The View” this morning, and all the hosts were wearing his watches. Several people have called in saying this is the first time they have purchased any items from HSN. Lopez pointed out that she had talked to Jackson before, when he called in during the HSN appearances of fellow “Idol” host Jennifer Lopez and songstress Mariah Carey. We were also touched when Jackson spoke a watch with an argyle pattern on its face. He said that his mom, who has passed away, often wore an argyle sweater. That watch was pretty cool looking. Jackson’s sister Sue also called in, and said she had purchased one of his HSN watches. She complimented him on the argyle watch dedicated to their mother. “I love it: HSN rocks,” Jackson said at one point. “You’ve definitely upped the cool factor here,” Lopez said. The hits keep coming at ShopNBC — as in hosts making abrupt exits. The latest one is Katina Forte. One of our dedicated readers tipped us off Wednesday that Forte was gone. ShopNBC had posted the news on Facebook. This exit comes just weeks after host Shawn Wilsie’s departure in June. Forte seemed to be happy about leaving. Forte’s fans were not happy campers, however, and several mentioned on Facebook the abrupt exit a few years ago of host Charla Rines, who was very popular. 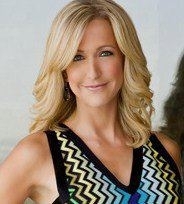 “This station only hires vapid hosts,” one person posted on ShopNBC’s wall. “Katina, head over to QVC,” wrote another. “Kat got a better offer don’t worry about her,” posted another. “What a scummy operation. Just carnival barkers and snake oil salesmen left, with the exception of two or three,” added another. “First Charla, then Shawn, now Katina. Are you nuts? Good luck Katina,” posted another. You are currently browsing the Homeshoppingista's Blog By Linda Moss blog archives for July, 2012.